Why Shouldn’t You Buy Your Engagement Ring On H. Samuel In 180 Words? It is understood that certain traders, with their age and vast experience also own a large customer-base such that their flaws are better voiced, unlike their young counterparts. H. Samuel being an age-old diamond seller has a vast audience and a vast amount of cons too. One of the primary disadvantages of using the reputed brand of H. Samuel is that they are incapable of fixing their issues. The quality of the products is not as long lasting as vouched for. Samuel has been in the news for contemptuously ridiculing customers because of Ratner’s speech. 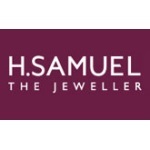 H. Samuel is part of the Ratner Group, which consists of Gerald Ratner, Ernest Jonest, Leslie Davis, Swiss Watches and H. Samuel. Ratner ratted out on the company in 1991 when he stated to the Institute of Directors publically that Ratner products were ‘crap’. The company was renamed as Signet Ltd, soon after. Recently, the store was in the news for fake discounts to lure customers into buying. Nevertheless, each of the complaints registered on BBB against H. Samuel has also been duly resolved. Why should you buy your engagement ring on H. Samuel in 146 words in brief? Forever Diamonds: H. Samuel has its own variety of personal range of diamonds engraved as a signature on its every make- Forever Diamonds. The store also has a diamond certification or optional 5th C Certification to all its diamond rings. Lasting Sparkle: Most customers vouched that the shine and sparkle of H. Samuel diamonds are long lasting and evermore bright. Exchange/ Replacement: The exchange, replacement and refundable option on H. Samuel are appreciable, as it has satisfied so many of its vast customers. H. Samuel gives a refund within 28 days of purchase. Insurance and Warranty: All H. Samuel engagement rings are entitled to two or three repairs and lifetime manufacturing defects under its limited lifetime warranty. In 1862, Harriet Samuel took over the business domain of her father-in-law and made the silversmith business a mail order business. Her son eventually developed the business and opened the first store in 1890. In the late 80s, H. Samuel joined Ratner Group, which doubled its revenue. H. Samuel jewelers changed the name in 1993 to Signet Group. Currently, Signet Ltd has 300+ jewelry stores under its brand. H. Samuel Full Review- Does it worth it? The company is an age-old name for customized diamond rings for engagements and special events of the same like. The brand celebrates the brilliance of diamonds with its every design, but is often remarked as incompatible in fixing its flaws. Ranging from quality issues to fake discounts, the company even recently had a lot to deal with, in its PR area. In fact, H. Samuel has a good customer service such that each one of their zillions of customer issues is also resolved by the company’s customer service. However, H. Samuel is the ideal diamond store if you are looking for experienced diamond sellers who can satiate your perfect ring for engagement as they have been doing for centuries now, for zillion others. H. Samuel has a wide variety of diamond rings for engagements and wedding bands. It has its own diamond certification of Forever diamonds and a lifetime warranty on all product. When you shop with H. Samuel, you can be sure that your money is well-invested and your treasure is insured! According to Better Business Bureau, H. Samuel jewelry store is rated A+. There are 39 complaints registered by verified purchases on BBB, a maximum of them being related to issues pertaining to product maintenance. In addition, all of these complaints are duly resolved and updated on BBB, by H. Samuel jewelers as well. Is H. Samuel a Fraud? Even though H. Samuel is not accredited on BBB, it is not a scam. H. Samuel has a large customer base and ensures total customer satisfaction for their ornaments. H Samuel is a genuine company with global accreditation and its own line of diamond certification. Once you shop with H. Samuel, you have nothing to worry about the risks of diamond buying! Based on the unbiased analysis of our experts, H. Samuel has been inferred as a genuine diamond seller with vast experience, offers, designs and even personal diamond certification to every diamond that they make! Samuel website is lucrative and provides information about everything that an engagement ring buyer needs to know. Buying diamonds online with H. Samuel has been rated highly efficient and effortless. Being a century old diamond seller, H. Samuel has a wide variety of collection for engagement rings. From vintage engagement rings to eternity ring, regardless of your fantasy, H. Samuel has that perfect ring from your dreams! There is no Live chat option on H. Samuel website, although it provides an email form to process your request steadfast. We checked this and the H. Samuel staff contacted us within 2 days, as assured. The customer support crew at H. Samuel is exceptionally talented and met all our demands to the very best. There are two options of delivery from H. Samuel for residents of United Kingdom. One can either have a standard delivery for all under £500 orders or the remnant orders above £500 can be detoured to express delivery, which is a next-day service. Additionally, all deliveries availed through H. Samuel Store near you will be free of cost! All H. Samuel items have a lifetime warranty as well as refundable option within 28 days of purchase. The company also provides replacements and repairs free of cost. Why when I bought earings and necklace in Samuel Store in Oxford street, I was not ginven any certificate as a proof that I m buyibg diamonds. They just told me it s on receit. But as it is a gift I cannot give receipt to the person I m buyibg for and I cannot proof I m giving diamond. How can I get a certificate?